April 15, 1932: “Baby Gumm” (Judy) performed with “Bob Weir and His Bandits” at a General Aid Society show at the High School Auditorium in Lancaster, California. April 15, 1939: Judy was in New York making a personal appearance at Loew’s State in Times Square. She had just finished filming The Wizard of Oz and went into filming Babes In Arms once she returned. 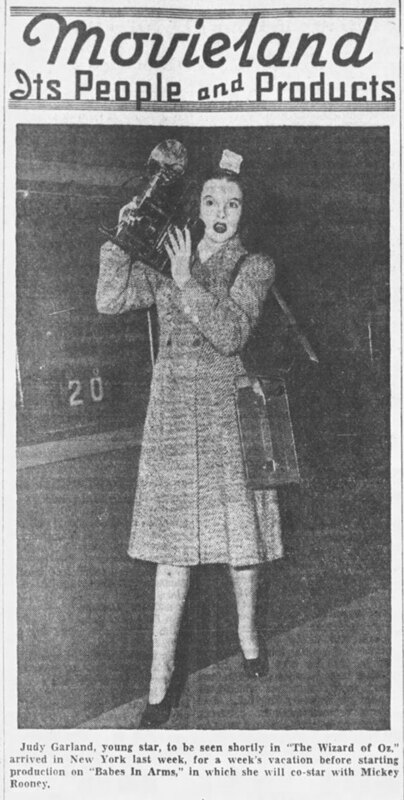 Above is a clipping of Judy upon her arrival in New York days earlier plus a fun article about Judy’s neighbors telling her she’s singing too loud! 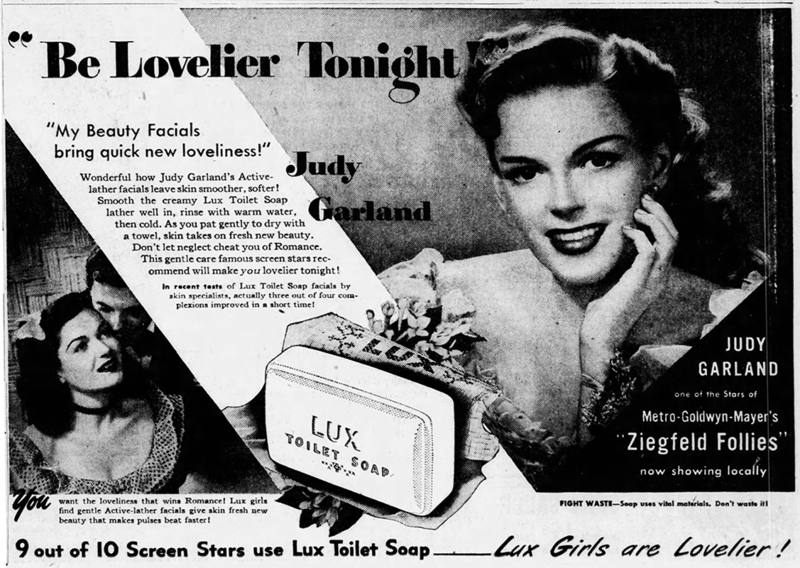 April 15, 1940: A busy day for Judy. She had a 9 a.m. call at MGM for rehearsals of the “Gay Nineties” number for Strike Up The Band. She was dismissed at 6 p.m.
That evening Judy was at the Decca Records Studios where, with Johnny Mercer, she recorded “Friendship” which was released in August 1940, single #3165 A. 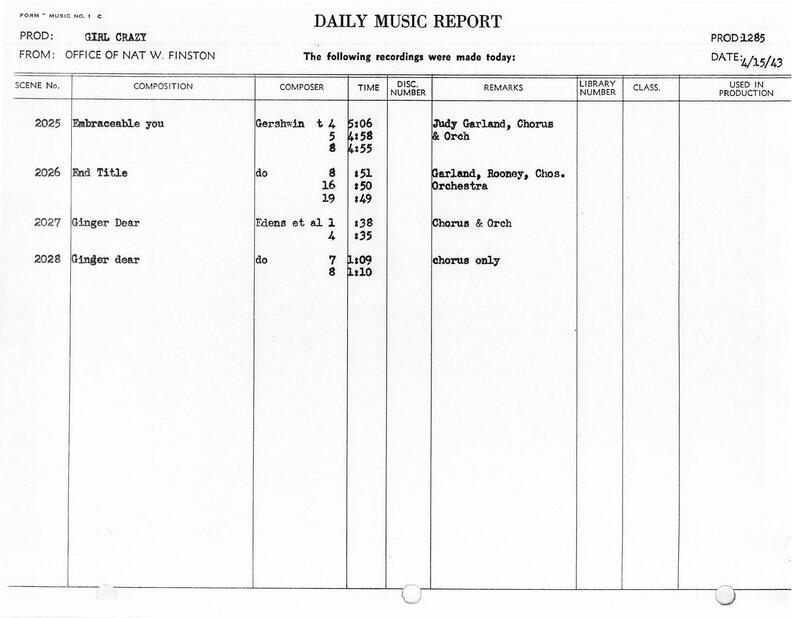 The “B” side was Judy’s solo of “Wearing of the Green” recorded on April 10, 1940. Judy also had her weekly appearance on Bob Hope’s radio show. It’s not known what songs she performed. 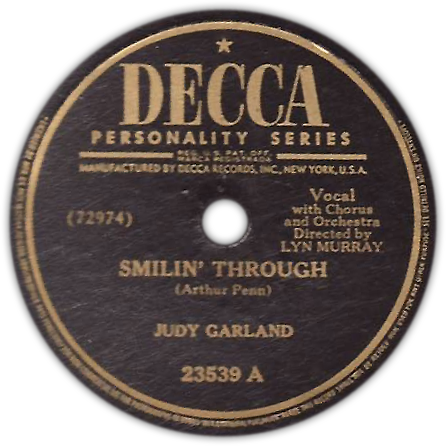 Check out all of Judy’s Decca recordings at The Judy Garland Online Discography’s Decca Records Pages. 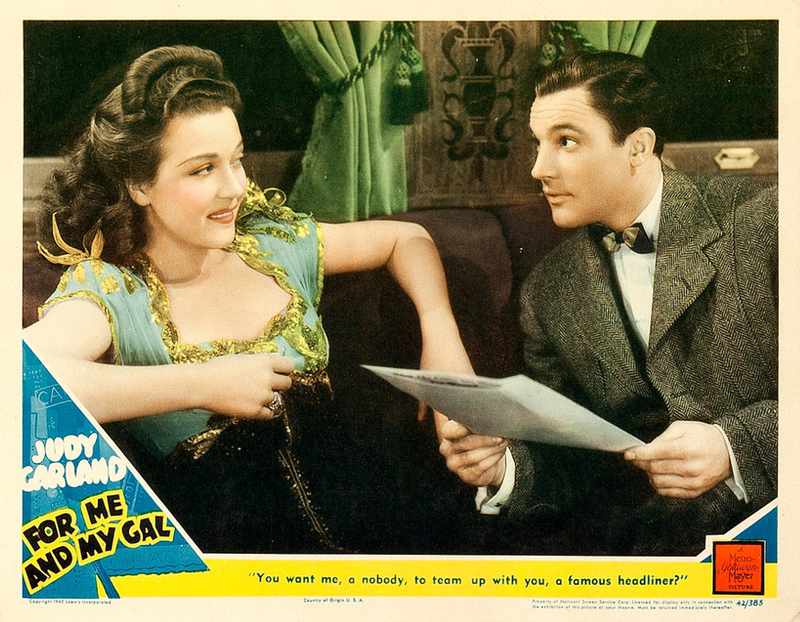 April 15, 1942: Filming continued on For Me And My Gal on the “Interior Private Car” set. Time called: 11:00 a.m.; dismissed: 6:03 p.m.
April 15, 1942: Judy made the cover of the “Movie World” insert to the “Australian Women’s Weekly” newsmagazine. April 15, 1943: Judy pre-recorded “Embraceable You” for Girl Crazy. 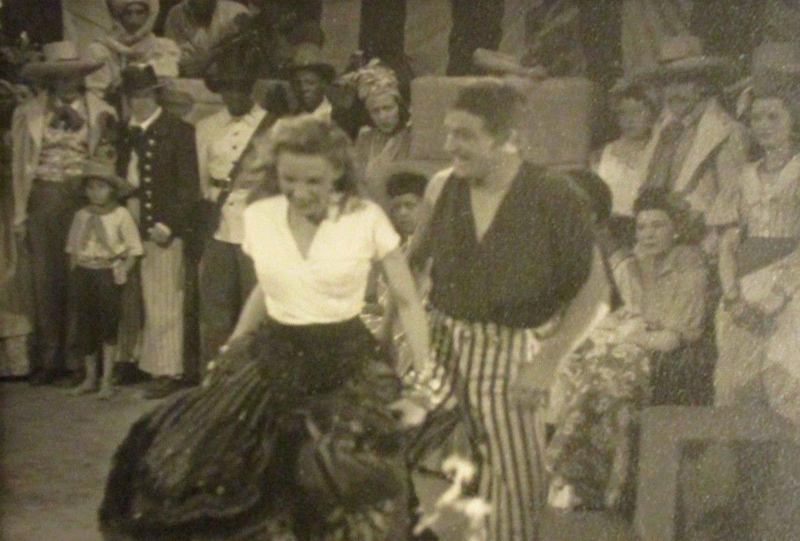 Time called: 1:30 p.m.; dismissed: 4:30 p.m. Two versions of the song were pre-recorded, the full version and the ultimately deleted reprise with Mickey Rooney that was part of the original finale. Also recorded on this day was a “chorus only” song titled “Ginger Dear” which is an outtake having been originally planned to be in the spot where “Happy Birthday” is in the final film. Below is our friend Mark Milano’s stereo version of “Embraceable You” – Thanks, Mark! Judy rehearses “Smilin’ Through” with conductor Lyn Murray as Dave Kapp looks on. 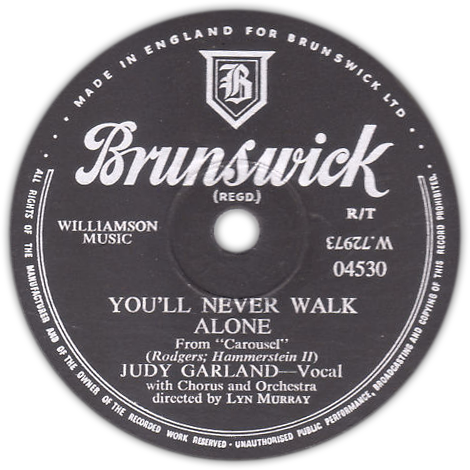 April 15, 1946: Decca Records released Judy’s studio recordings of “You’ll Never Walk Alone” and “Smilin’ Through” on Decca Single #23539, the latter was on the “A” side. 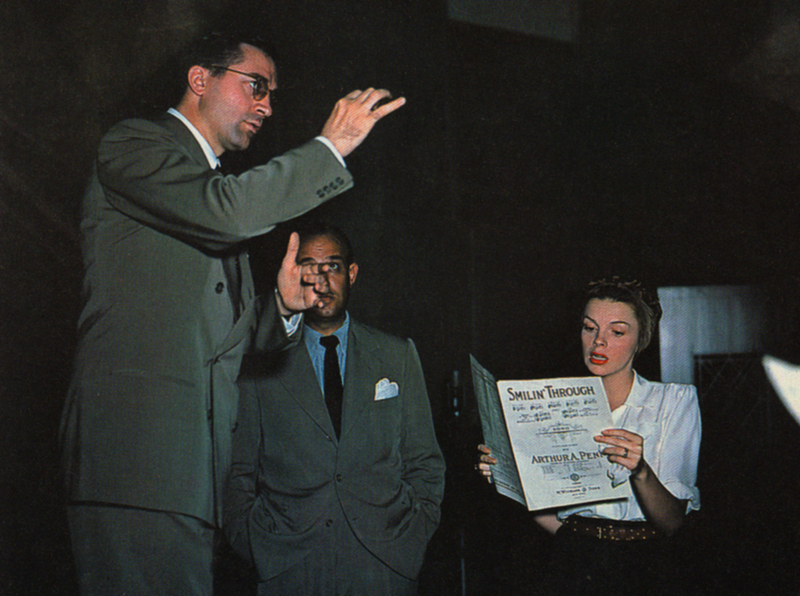 Both recordings were made by Judy in Decca’s New York studios on July 10, 1945, while she was on her honeymoon with new husband Vincente Minnelli. There’s no explanation that’s been given for the delay in releasing the singles. 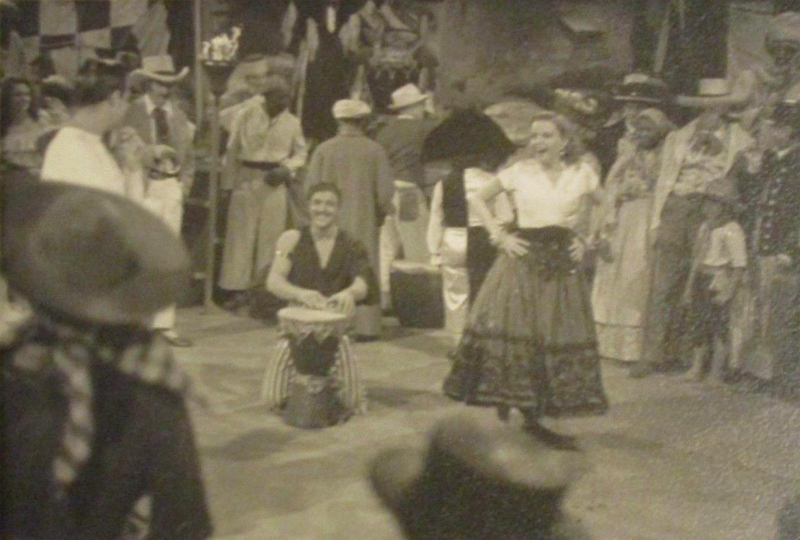 April 15, 1947: Filming continued on the “Interior Show Tent set for The Pirate, specifically the “Voodoo” number. 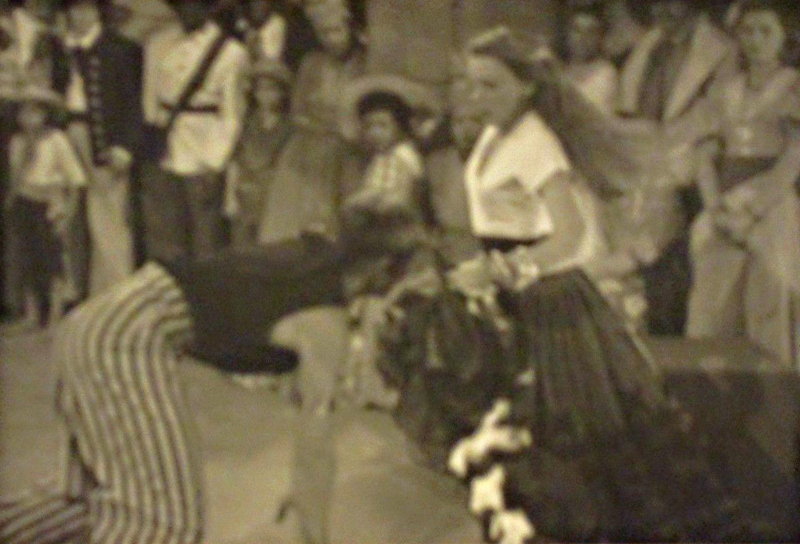 Time called: 9:45 a.m.; dismissed: 6:00 p.m.
April 15, 1949: Judy had some work with Roger Edens (her musical mentor) for Annie Get Your Gun from 1:30 to 2:30 p.m. 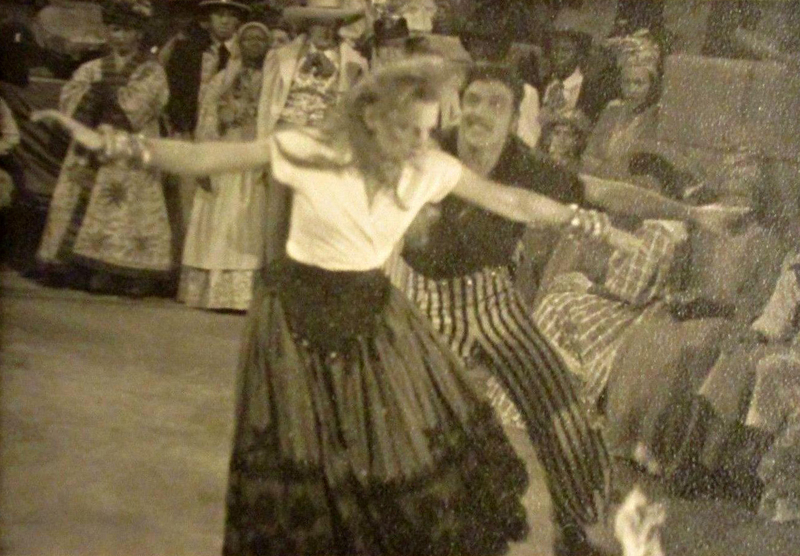 Check out The Judy Room’s Filmography Pages on Annie Get Your Gun here. Photos: 1999 laserdisc cover and back cover artwork. 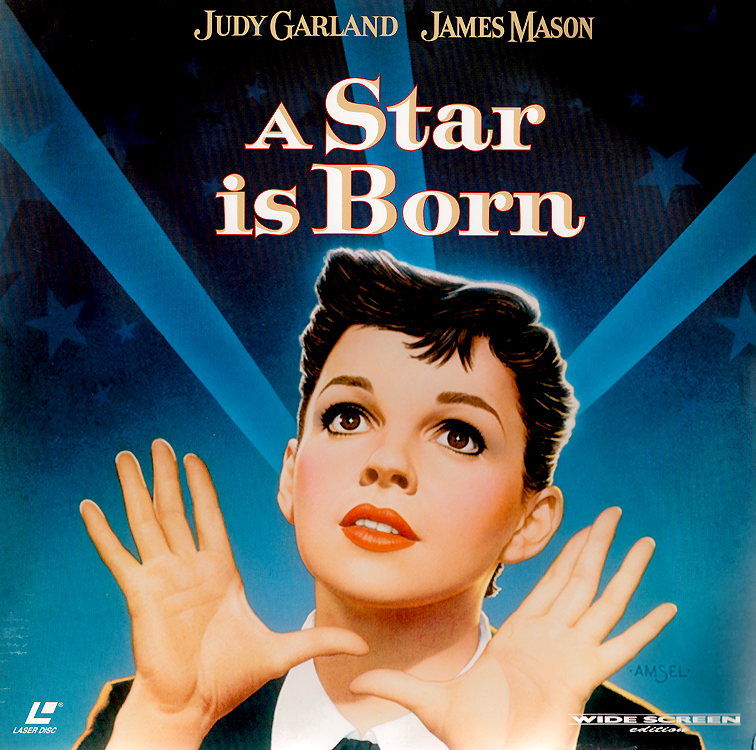 Check out The Judy Room’s Extensive Spotlight on A Star Is Born here. April 15, 1961: Judy was in concert at the Coliseum in Greensboro, North Carolina. April 15, 1962: This article by Louella Parsons appeared in some Sunday papers around the country. A SHORT TIME after their marriage, it was obvious that Judy Garland and David Rose were two people whose careers, while not competitive, were still dominant in their lives. One or the other would have to make compromises, would have to accept the minor role. Neither apparently could. They were divorced. Now came one of Judy’s really sad times, though she was at the top of the heap, with money rolling in. For in Hollywood, as everywhere, there are stooges, leeches, parasites, seeking someone on whom to implant themselves, off whom to live. Judy was made to order for them. After a bad session with nerves and illness, she was cast in Meet Me in St. Louis. Vincente Minelli [sic], a famed Broadway director, was making the film. He was in his 30s and had never been married. Vincente is a man who believes that when a picture is being made the director is the absolute boss. He lets his actors know it. PROBABLY THIS dominating character of Vincente’s was what attracted Judy to him. Here was a man with certainty, a man who took command. She, I felt, realized that she needed such an influence in her life. They were married in 1945, when she was 23. I did call her and was delighted when she told me that not only was she feeling better, but that she knew she was going to have a baby. ALL HER FRIENDS went through another period of rationalization about her. Marriage had not effected the change we had all hoped for, another child would. Judy did find delight and pleasure in possession of little Liza, a miniature of her mother with the same enormous dark eyes and the same fawn-like small. When she returned to work in Hollywood, she seems in better vocal form than ever. This was the period when she made hits like The Ziegfeld Follies, Till the Clouds Roll By, and Words and Music. Up until this time, Judy had lived by the trouper’s credo, the show much go on. No matter what her personal problems or her state of health, she could be depended upon to be on stage on time, to work as long as she wanted, and to give the best performance of which she was capable. THIS DEPENDABILITY changed; she appeared to fall apart. She was cast opposite Fred Astaire in The Barclays [sic] of Broadway, and didn’t show on stage when shooting was to start. A new starting date was set and, again, Judy failed to show. This happened a third time. She was suspended. Ginger Rogers went into the picture with Astaire. I did what little I could. I reminded old friends of how many millions Judy had made for MGM and of obligations that were owed her. Other joined in the pressure. The studio took her off suspension and cast her opposite Van Johnson, then at the peak of his popularity, in In The Good Old Summertime. Judy was the old Judy in this picture. On the set when needed. At the top of her form. And the picture was a success. MGM bought the biggest musical hit of the season for her, Annie Get Your Gun. They paid a tremendous sum for it and spent at least $1 million getting it ready for production. JUDY WAS THERE when the picture started. But she complained about the director. She didn’t like the script. Work was disrupted daily. Then Judy just didn’t show up. The studio simply found a new star – Betty Hutton. 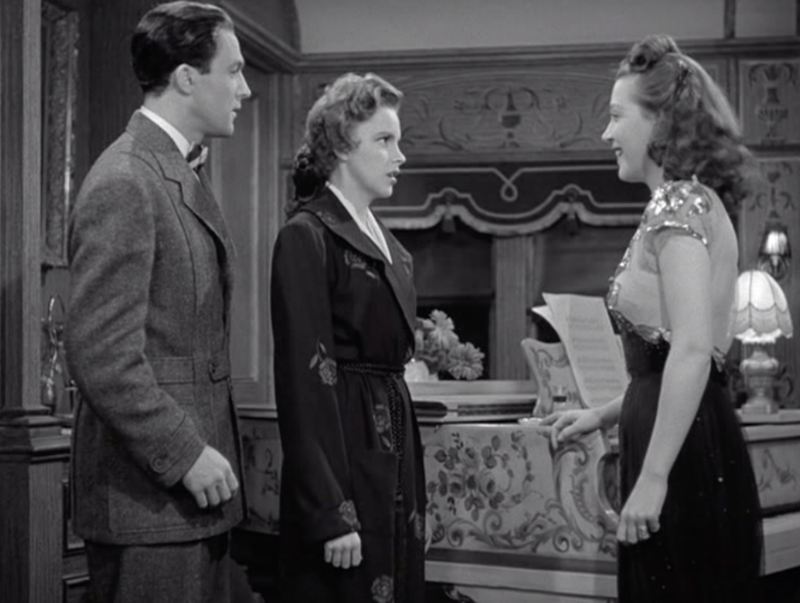 But to indicate that MGM felt both affection and gratitude toward Judy, the studio arranged for her to be rushed to a hospital in Boston for care and treatment. One day she simply left the hospital without a word to anyone. When next heard of, she was in New York and the old crowd of sycophants were surrounding her. Their meal ticket was back. When, some months later, Judy returned to Hollywood, she was at least 20 pounds overweight. Meanwhile MGM was deluged with letters demanding that Judy be cast in a picture. I was getting stacks of mail asking when Judy would be seen again. So were most other Hollywood reporters. MGM WAS MOVED to take another chance; and cast her in Summer Stock. She went into it while she was still on a stringent reducing diet. If you watch carefully when the picture was shown, you could see her growing slimmer and slimmer as it progressed. I recall the night that the film was previewed. The audience reacted as if it was attending the first night of a Broadway hit, and cheered Judy loud and strong. Once again it appeared that she was back in form; but not for long. Her marriage broke up. Little Liza could not keep her parents together. Judy cut herself off from all her old friends. And, after a time – as always happens – yesterday’s sensation was lost sight of. Suddenly there was news of her that made old friend joyful. Judy was making a comeback. She had a new manager who had booked her into London’s celebrated Palladium. The critical English audiences loved her. MUCH OF THE credit for the comeback success was given to Sid Luft, the new manager. As soon as their respective divorce suits were settled, hers from Minelli [sic] and his from actress Lynn Bari, Judy and Sid were married. 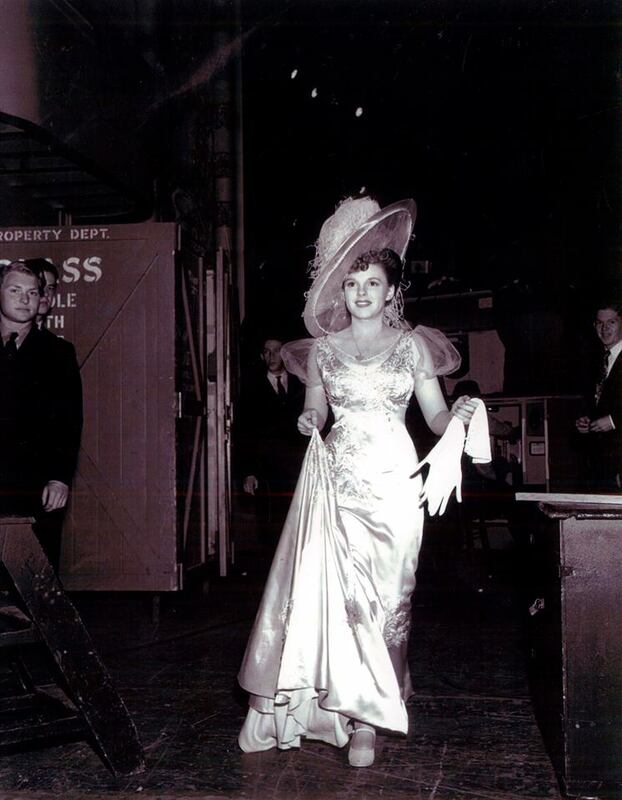 From the Palladium, Judy went to the Palace in New York. She bowled over the critics and the standing room only sign went up each performance, to be repeated during the weeks she appeared at the theater. For 19 weeks, eleven shows each week, Judy captivated audiences. The grind was, as it turned out, too much to ask of her. She suffered from hepatitis and had to be taken to a hospital. I talked with her then and knew from her voice that it wasn’t true that her past had caught up with her. It was hard to convince people that this was hepatitis plus a case of physical exhaustion. HOLLYWOOD DIDN’T believe the true story either, as Luft found out when he came to Hollywood seeking a movie contract for her. The picture was good, but the star, everyone agreed, was superb. She received an Academy Award nomination for her performance. On Oscar night Judy was in the hospital having another baby. (She and Luft already had one child, Lorna). All her special, hopeful, cheering squad – with me as cheer leader – was heartbroken when she didn’t win. I believe now that Judy has a firm hold on herself. Not in the years I have known her have I seen her as self=possessed and as in control of her nerves as she is today. Yes, Judy who has gone over the Rainbow so many times now has it draped around her shoulders by public approval. MY LAST glimpse of her alone was a happy one for both of us. It was when she was presented with an award at the Foreign Correspondents’ Golden Globe Awards dinner. I’ve never seen anything like it in all the years I’ve been in Hollywood. The entire audience rose to its feet and cheered The Rainbow Girl. She glanced over at the table where I was sitting close to her and her eyes were wet as she struggled to overcome her emotion. 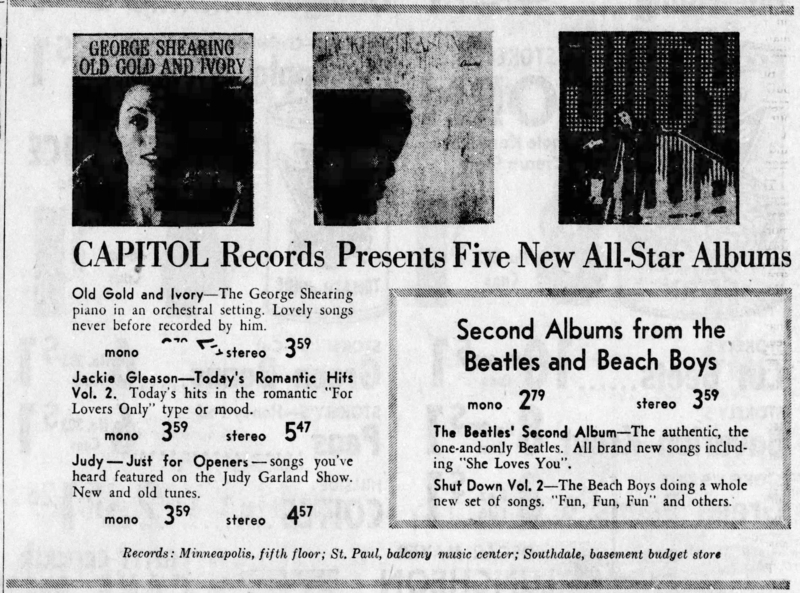 April 15, 1964: Capitol Records’ “Just For Openers” was on sale at stores nationwide. 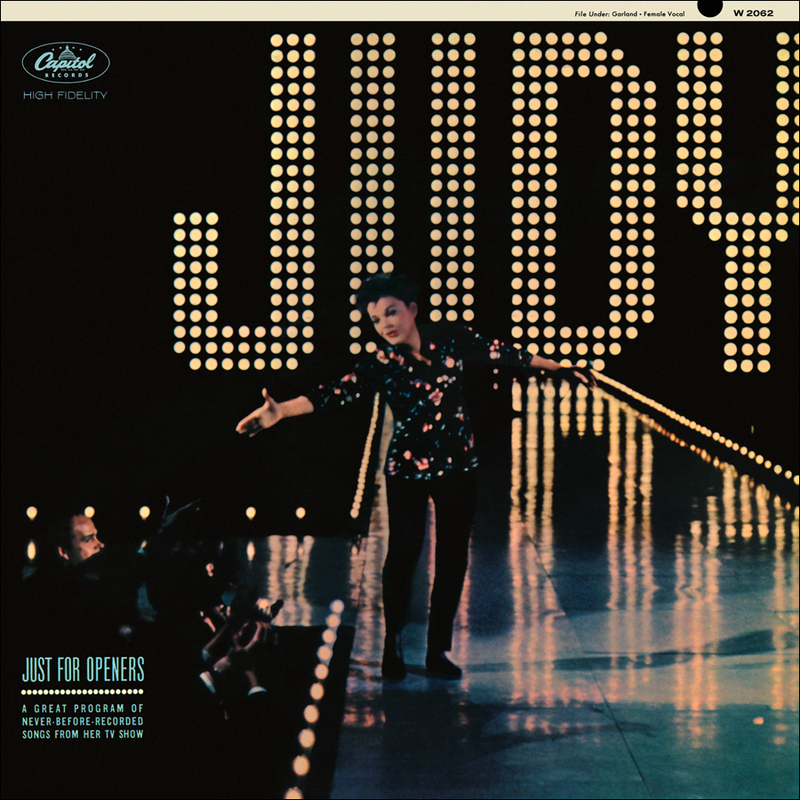 The LP had been released on March 30th and featured 12 tracks from Judy’s TV series, “The Judy Garland Show,” recorded through the sound system but in mono, not stereo. It was the only legitimate release of material from the show released during Judy’s lifetime. It was the first of a planned series of albums of performances from the series, but subsequent releases were never produced. 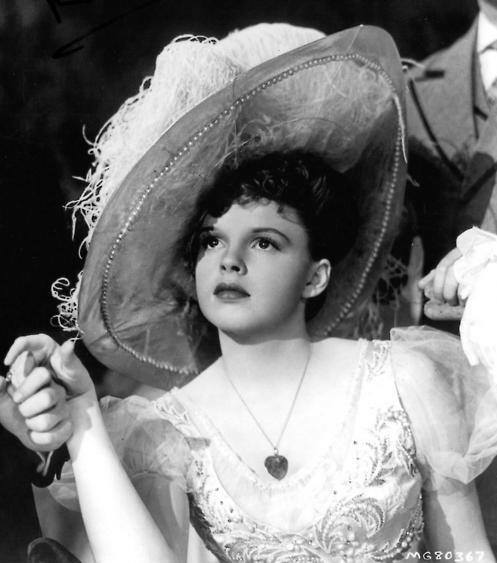 Check out The Judy Garland Online Discography’s pages about “Just For Openers” here. April 15, 2004: The third night of TCM’s month-long celebration of Judy as their Star of the Month. Every Thursday in April was devoted to Judy’s films, documentaries, and more. April 15th was themed “The Ugly Duckling Becomes A Swan” (see below). DVD Press Release (with details and pics) here. April 15, 2013: The Wizard of Oz was re-released on Blu-ray in the UK. 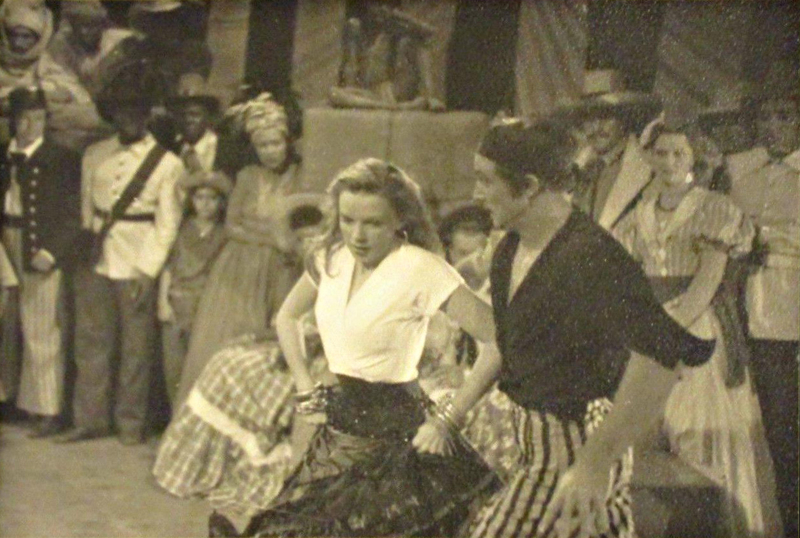 The release was part of Warner Home Video’s re-release of the film for its 75th anniversary the following year. Several different editions were released on standard DVD, Blu-ray, and a newly created 3D version. 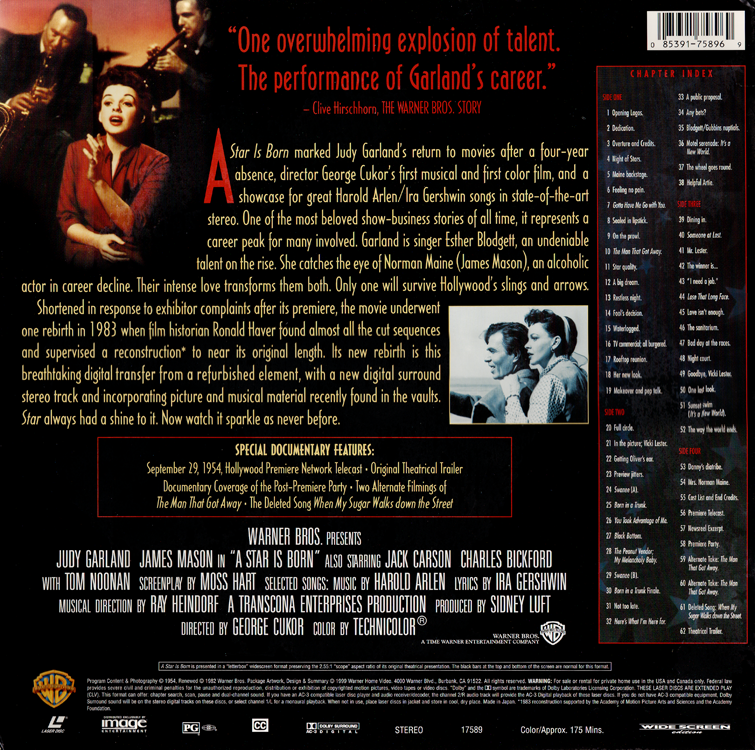 Check out those releases, as well as other Judy Garland DVDs and Blu-rays, at The Judy Room’s “Judy on DVD/Blu-ray” section. Check out The Judy Room’s Extensive Spotlight Section on The Wizard of Oz here. Funny how in the article at the top about the neighbors’ warning that she would loose her voice for singing too loud, whoever wrote that said that the neighbors called her “Judith,” which was never her name. And they refer to her mother as “Mrs. Garland,” which was never her name either. Casts a lot of doubt on that PR story, doesn’t it.